This was the 10th edition of the Route du Rhum-Destination Guadeloupe, the transatlantic single-handed yacht race that takes places every 4 years in November. Maison MUMM was once again present to celebrate the incredible podium moment as they continue to honour victory and the best in human achievements. 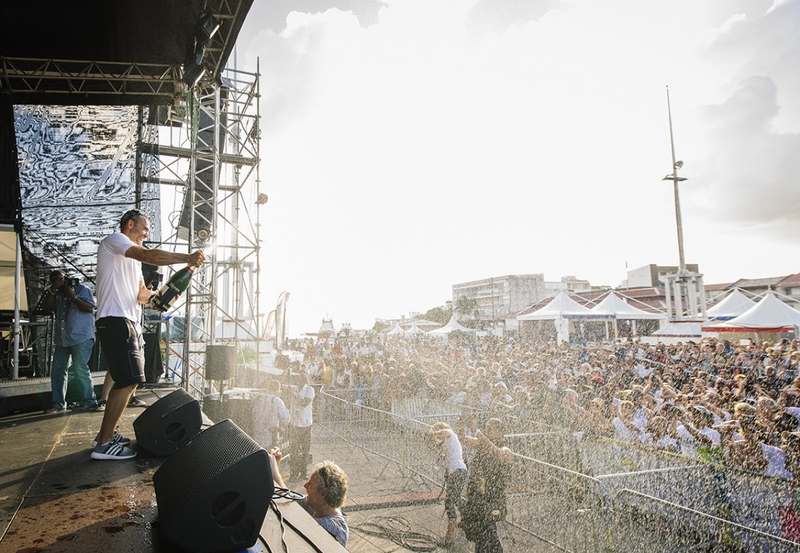 Maison Mumm is proud to celebrate with French racing star Loïck Peyron, this year’s winner of La Route de Rhum-Destination Guadeloupe, who achieved a record-breaking time as he crossed the finish line this morning. Peyron finished the race from Saint-Malo, France to Pointe-à-Pitre at 04:08:32 TU/05:08:32 CET/23:08:32 local time. 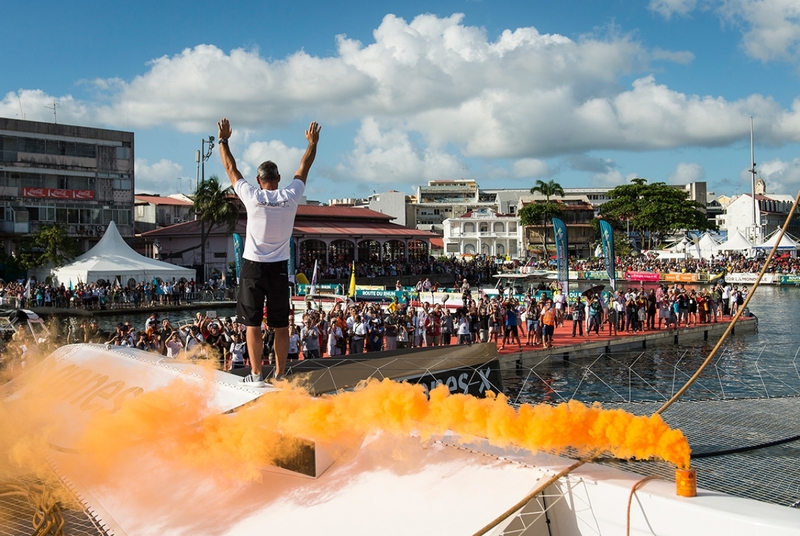 The solo racing adventurer of the 31.5m (103ft) Ultime trimaran Maxi Solo Banque Populaire VII completed the 3,542-mile course in 7 days, 15 hours, 8 minutes, and 32 seconds. This victorious race time saw Peyron take over from previous record holder Lionel Lemonchois, who completed the 2006 race in 7 days, 17 hours 19 minutes and 6 seconds, creating a lead difference of 2 hours, 10 minutes, and 34 seconds. Spindrift racing represents the perfect harmony of Dona Bertarelli and Yann Guichard’s combined passion for the sea, sailing and competition. 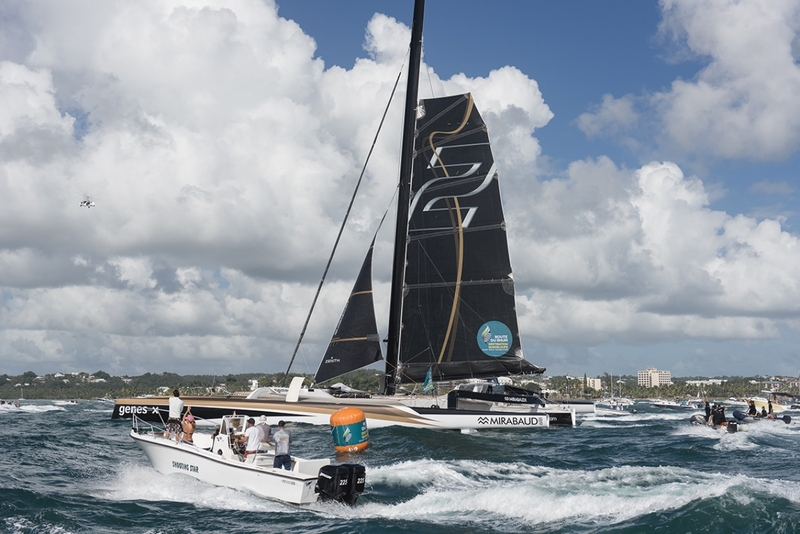 After much consideration, Yann Guichard made a calculated decision to compete in the 10th edition of the Route du Rhum-Destination Guadeloupe (Saint-Malo - Pointe-A-Pitre) solo on board Spindrift 2, a 40-metre trimaran originally designed for a crew. The decision was not an easy one, and required much thought and meticulous preparation. The boat was specially adapted during the winter months by Spindrift racing’s design team to ensure optimal conditions on the start line on 2nd November. 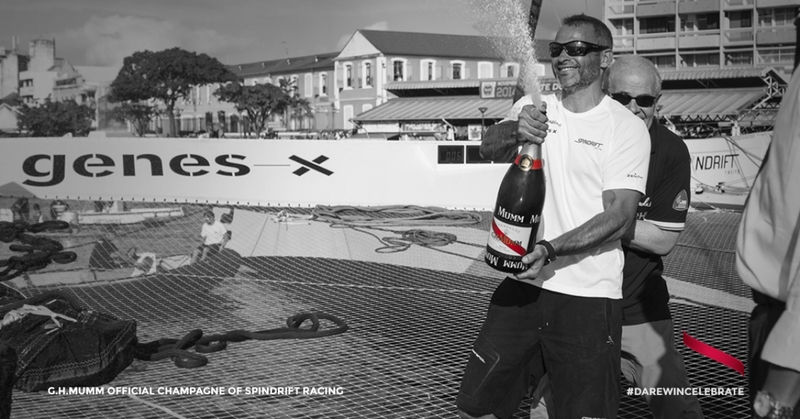 Maison MUMM is proud to be the official champagne of Spindrift racing and congratulates Yann Guichard on his outstanding 2nd place at the Route du Rhum - Destination Guadeloupe 2014. BETWEEN THE SEA AND THE MOUNTAINS, IS THE JUNCTION OF THE WORLD OF BERTARELLI AND GUICHARD. THE WORD ‘SPINDRIFT’ MEANS BOTH THE SPRAY BLOWN OFF THE CREST OF A WAVE AND POWDER SNOW.